Olivier Assayas's career to date has been defined by its variety and range, with each film taking the French director into an exciting new direction. However, his last two features have been preoccupied with the political climate and revolutionary spirit of the 1970s, with his epic Carlos being followed by the autobiographical drama Something in the Air. In his latest film, Assayas follows a young man as he engages in student radicalism before being drawn to the world of filmmaking, following a trajectory that closely mirrors his own. 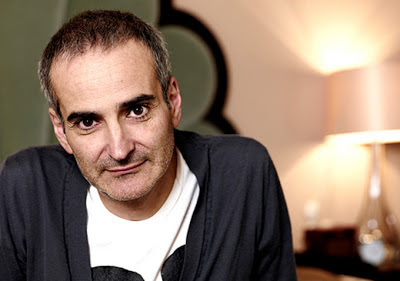 It's another astutely observed, fluidly directed and richly atmospheric film from one of the most consistently impressive filmmakers working today, and I met Olivier Assayas this week to discuss it. How does it feel to get back to making a regular-sized film after Carlos? Well, I knew I would have to downsize! [Laughs] I initially wanted to go as far as I could in terms of downsizing, and that's why I wrote a story about teenagers, which was as simple as it gets, but gradually I realised it was much more complex than I ever imagined. The film grew much bigger in certain ways than I initially anticipated because of the reconstruction of that era, the '70s. Ultimately it was much more difficult, in terms of recreating the era, than Carlos, because we shot Carlos in certain parts of Germany or Lebanon where it's easier to recreate the 1970s. Recreating the '70s in Paris or around Paris is very difficult, every street shot is a problem and it's a nightmare to find locations. I also realised that the film only worked if I was absurdly careful with the details of it, and that ended up obliging me to focus on areas of filmmaking that I usually don't have to deal with. I had to be there for the sets, the props, the costumes and everything in ways that are way beyond what you usually do on the film set. I was working with the same crew and they are really excellent, but here it was very much a matter of every detail being exactly correct or otherwise it would throw the whole thing off balance. So in the end the film was much tougher to make than I had imagined. Does the autobiographical element also make a difference? Is it harder because it's more personal? Yes and no. I suppose the fact that I deal with places, people and situations that I have first-hand experience of is more challenging because I can't get away with just recreating the '70s, I have to recreate the mood of the '70s. I have feel the things I felt when I was experiencing those events and situations. It imposes on you to be much more rigorous than when I was doing Carlos, for instance, because Carlos is part a recreation of a reality and part fantasy. I felt the presentation of the '70s was very immediate. I didn't feel that it was an older man looking back on his youth with a sense of judgement or hindsight. Yes, that was essential. In a certain way it was the difference between Carlos and this film. Carlos is seen from the point of view of today on events forty years ago, based on knowledge we have now and did not have at the time. When I started thinking about Something in the Air it was the idea of making a film immersed and embedded in the 1970s, in the middle of the chaos of it. If you want to revive the idealism, the hope or the dreams of those years you have to do it from the perspective of being inside it, not to try and second-guess it or whatever. I guess with a movie like this we often try to draw parallels with modern times, but there's a genuine sense of hope in these youngsters rather than the disillusionment and cynicism we might see today. Yes, but the thing is that you are depending on history and your times. The '70s generation didn't just pop up, it was something that was carried by social history. In the '60s you have this youth movement and it's something worldwide. All of a sudden you have the youth questioning the values of modern society, and it's not like kids criticising their parents, it's a whole generation that believes it has some kind of historical mission to accomplish a revolution. We're talking about the generation before mine who did May '68, more like the baby boomer generation. The generation that comes after that has a sense of living in some revolutionary times because we had the model of May '68. There was this event and nobody has really made sense of it, but at least it had this explosive energy that echoed within the whole of French society. You had this powerful youth movement all over the world simultaneously and there really was a sense that it was going to throw the whole of western society off balance. We were part of a generation that would finally change the values of western society, but we were empowered by something that went way, way back to the late 19th century. There was this belief in the past, this knowledge and scholarship about the revolutionary past. In high school you would discuss the fine print of the Russian revolution or the Spanish civil war or the Chinese civil war, and you were extremely precise. You knew exactly where the anarchists stood in relation to the Trotskyists, you knew where this group of Trotskyists stood in relation to this group of Maoists, and you knew all the nuances. And we had a faith in the future. Today you don't have any kind of defining event like May '68 to propel the youth. On the opposite, you have this kind of discouragement about politics and this disastrous feeling about politicians on the major issues in today's world. You don't have something that would be a positive point of reference for any profound criticisms of today's society, so everyone sees what's wrong but there is a fear that if you contradict it you will end up in a horrible place, like Soviet Russia or something like that. We see in the film that these would-be revolutionaries were divided among themselves into bickering factions. There was no way of harnessing this spirit into a single unifying force for change. Yeah, that is exactly what happened. Ultimately that is the history of French leftism, and it's possibly the root of its failure. 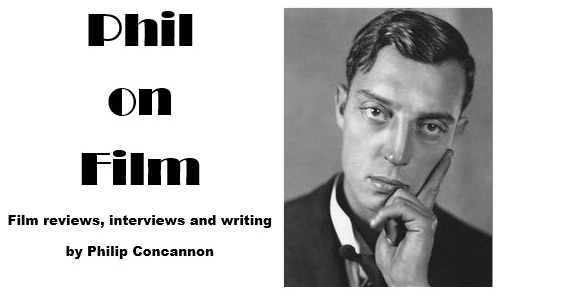 I wanted to ask how your writing informs your direction, because when I watch your films they feel very loose and spontaneous, not as if you have rigidly planned each sequence. I write very minimal screenplays, with very little description. I write it the way you would write a play or something like that. I describe very briefly the mood or the background and then I would go very quickly to the action or the dialogue. I really have this conviction that you have to leave it as open as you can so you can adapt to the locations, to the actors, to the ideas you will have on the set. The thing is that when you read the screenplay after watching the film, you will realise it is very precise and it is all there, but when you read the screenplay without having any notion of the images you will have a hard time imagining them. To me, a screenplay has to remain open but what is important is the backbone, it needs to have some narrative logic that structures the film and gives it a base, its musicality if you prefer. Within those scenes you can give yourself space to expand, retract, reinvent and transform while knowing that you can always rely on the backbone. For instance, not only do I never storyboard but I don't even design a shot until the very morning of the shoot, because whatever I will do with a specific scene is defined by what I have done in the previous scenes of the film. So it can't be something pre-planned that I will execute; the style of the film is something that will take shape day after day. For me, filmmaking is a process of discovering what the film is rather than simply executing it. You have a number of young actors in this film with no experience. Do you have to direct performers like that in a different way to your professional cast? The only one who has any kind of solid experience is Lola Créton, because she was the lead in a couple of films, and India Menuez has done some small things but she's not really an actress, she's actually a visual artist. The thing is that it's a completely different approach to what I have been doing in my recent films, which is mixing actors and non-actors. When you have smart actors who understand what you are looking for and know what you are trying to do, you can give them space and they will use it; well, some of them will use it and some of them won't, it depends on their instincts. When you have individuals who have no experience in acting and you throw them into a scene with actors, they can also improvise because they just react, but with kids – and specifically when you are representing the 1970s – you can't give them much space to improvise because they would not use the right language or have the correct reaction. So it does become a very different style of directing actors to whatever I have been doing recently. Finally, one film that has been referenced a lot in relation to this film is Cold Water, but that seems to be the hardest of all your films to see, in this country at least. That film has a disastrous story, it's just ridiculous. I should sum it up because it's funny, actually. The film should have been in competition in Cannes and this got to the ears of some guy at Polygram, which was a quote-unquote "European major." We shot the film for no money and made it in four weeks, and our producer had no belief in the film, it was just like nothing, some tiny thing he had helped produce. When the Polygram guy came to him he said, "Oh great, I'll give you the international rights to the film, we'll share the profits," and then we signed the contract and it's done. It was done in five minutes and he gave away the rights to the film for fifteen years, to this guy from Polygram. Then – it was similar to Carlos, actually – all of a sudden there was a legal problem with having Cold Water in competition at Cannes because it was made with TV money, so we were out competition and in Un Certain Regard, which was fine, I was more than happy to be there. And then this guy from Polygram who was running some kind of "classics" division was fired, and they closed down Polygram Classics after six months, so we ended up in their catalogue in London where nobody knew what the film was. The thing is that they had tried to sell it in Cannes for an absurd amount of money – which I think had something to do with why the guy was fired [laughs] – so he never sold a single territory and the film remained in Polygram's library. Then Polygram fell apart, it was bought by Universal, so now the rights belong to Universal in LA and every single time I have tried to get the rights back they have told me that Universal has a policy of never selling their assets. Not even to the director? Not to anyone. After fifteen years they lost the rights, but at that point we didn't have the music rights anymore, because we had bought the music rights for ten years or twelve years and now we have to re-pay for the music rights. Criterion wanted to release it but as soon as they saw the bill they said, "Whoa, this is crazy." I don't know, it will take time. At least I managed to have new prints made, and the film was released on DVD in France so at least there is a DVD, even though it doesn't have English subtitles, which is a pity. But there is an English-subtitled print and I think at some point I will end up buying back the rights. It's just one of those absurd stories.